Susumu Araki is an Executive Coach with Executive Development Associates based in Tokyo, Japan. Susumu has extensive experience in corporate training, program design, executive coaching and hands on consulting, as well as a good reputation among his clients due to his experience as a corporate executive with multi-national companies. 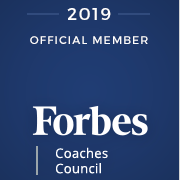 He has specialized in executive coaching, sales coaching, leadership development, and high performing team development for executives since 2006. Prior to his work as an executive coach and management consultant, Susumu worked in the UK, USA, Germany, Netherlands and Switzerland as a corporate executive. He started his career as research chemist at NTT Central Research, then moved to sales and marketing, and finally to general management. When he returned to Japan, he headed the Japanese organizations of those European companies as Board Director/ COO, focusing on the responsibility for marketing and sales. Executive Coach of Global Management Development Inc.